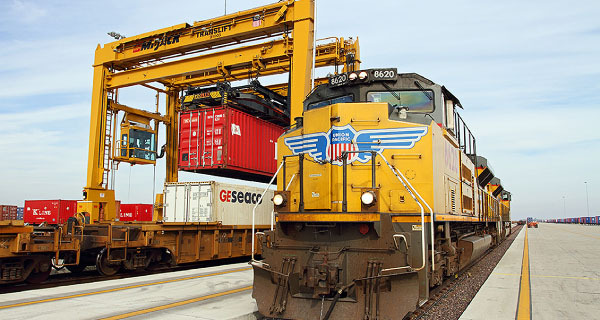 As railroads continue to ramp up capital spending on infrastructure and equipment, intermodal services have been significant beneficiaries, leading more shippers—and motor carriers—to adopt multimodal approaches. The U.S. rail network's 140,000 miles of track could cross the country 47 times. Many changes have affected this extensive system since the 1980's Staggers Act deregulated the rail industry, thanks largely to the $480 billion U.S. freight railroads have invested over the years to maintain and modernize the national rail network (see Figure 1). In 2010 alone, the seven largest North American railroads, known as Class I railroads, spent approximately $10.7 billion on capital investments. In 2011, their anticipated spending is $12 billion—approximately 40 cents of every revenue dollar, according to the Association of American Railroads (AAR). Many railroads spend more on their infrastructure than some states do on highways. In 2008, for example, Union Pacific (UP) spent $4.91 billion on infrastructure, while the state of New York spent $3.82 billion on highway construction and improvements (see Figure 2). In 2010, freight railroads spent a record amount on capital expenditures—approximately $10.7 billion to build and expand network infrastructure and purchase equipment. Further, all the major Class I railroads have publicly announced planned capital spending programs in 2011 that will be greater than those in 2010.